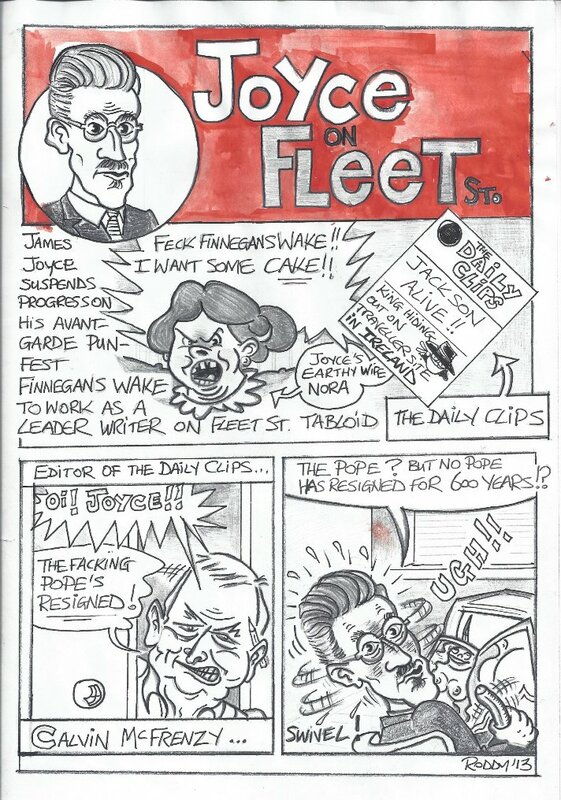 This entry was posted on 7 March, 2013 in homepage and tagged fleet street, from Finnegans Wake to Fleet Street, james joyce, James Joyce carton strip, James Joyce makes headlines, Joyce on Fleet Street, Roddy McDevitt. Bookmark the permalink. 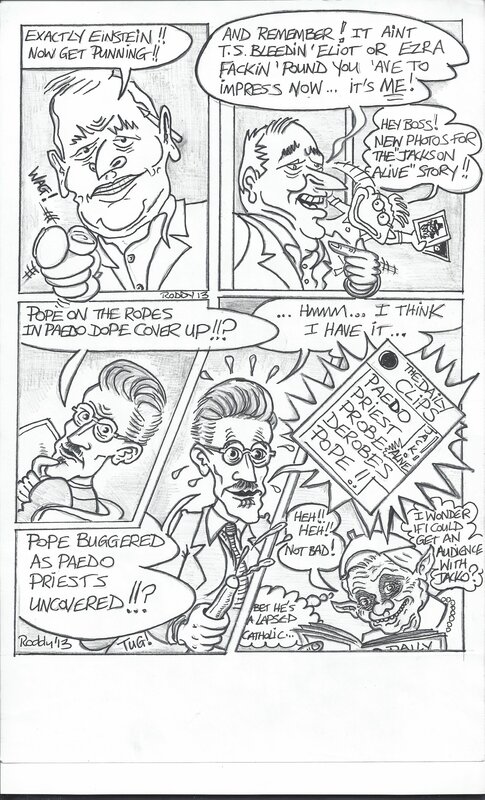 Razor sharp caricature. All recognisable heads instantly recognisable.